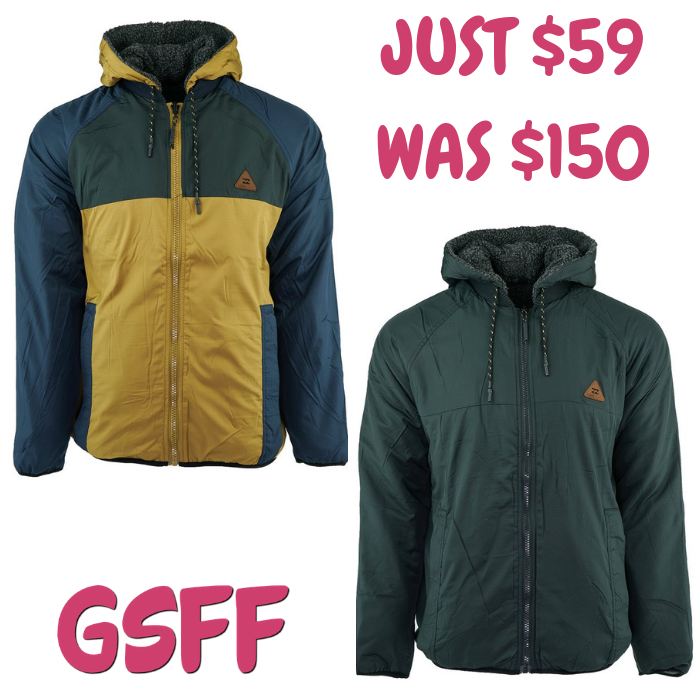 Men's Winter Jacket Just $59! Down From $150! Shipped! You are here: Home / Great Deals / Men’s Winter Jacket Just $59! Down From $150! Shipped! Men’s Winter Jacket Just $59! Down From $150! Shipped! For a limited time only! Score this Men’s Winter Jacket which is on sale at Proozy.com for only $59 down from $149.95 when you use promo code PZY59 at checkout! PLUS, it’s FREE shipping! Polyester shell reverses to sherpa inside. Contrast yoke, sleeves and welt pocket. Zippered pockets at waist. Hooded. Sherpa side has contrast chest pocket. Coated zippers. Patch label at chest. Perfect this winter season!